Bruce Boxleitner has been making a living as an actor since the early ’70s, but there are many who consider the ’80s as the era when he really hit his stride, thanks to him having starred as the title character in “TRON” and following up that success with four seasons as Lee Stetson on CBS’s “Scarecrow and Mrs. King.” Then, of course, there’s his work during the ’90s as John Sheridan on “Babylon 5,” and…well, basically, what we’re saying is that Bruce Boxleitner’s fanbase is multi-generational. 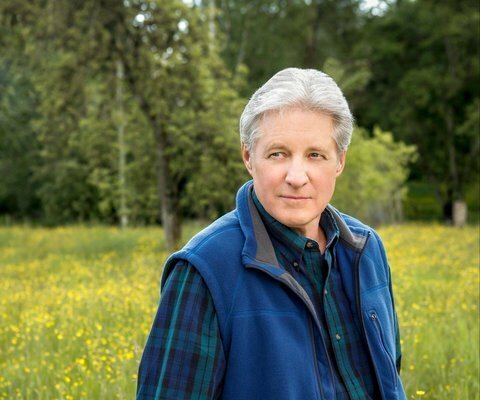 Currently, Boxleitner is a regular on the Hallmark Channel original series “Cedar Cove,” but he also continues to keep busy on other projects, including a new holiday film called “Silver Bells,” which makes its small-screen debut on UP TV on Dec. 1. Bullz-Eye had a chance to talk to Boxleitner about both of these projects, along with several other items from his back catalog, but there were actually two conversations: one in person, one on the phone. The first one took place during this summer’s Television Critics Association press tour, and the second…well, I’ll explain about that one when we get to it.